The great buzzer hatch has continued this week at Rutland Water. Unsurprisingly the best tactic has been to fish buzzers on floating/midge tip lines. Straight lining or the indicator has worked well. Interestingly neither method has outscored the other – all influenced by the prevailing conditions. The best boat areas have been Yellowstone, Spud Bay, Ernies Point to the Mound, V Buoy and Finches to Armley Wood. 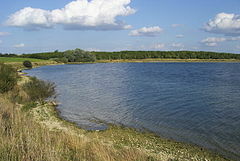 Buzzers have been the favourite with bank anglers with the best areas being Barnsdale, Old Hall, Stockie Bay and the Dam. An evening rise has also been seen in areas of the lake, encouraging some top of the water action. When the wind has been favourable the rudder has taken fish, including some nice Rainbows, all giving tremendous accounts of themselves. 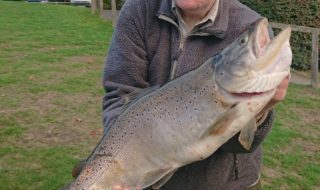 On Thursday 23 April the RAF fished a match with 22 anglers returning 80 fish, including a lovely 5lb 1oz Brown taken by A Butterworth. Bourne angler Simon Ashton returned to the pontoon with a superb bag of 7 fish for an estimated 18lb, including a nice Brown of 3lb, all taken on a black tadpole in the main basin. Towards the end of the week anglers were practicing in preparation for the Anglian Water Airflo International Northern Heat which was fished on Sunday. Match day saw an impressive return and a rod average of 5.67 with Team Ospreys, RAF Fish Hawks, Froggies Fly Fishers, Ashington Kingfishers, John Norris Greys ‘The Veterans’ and Team Vision all qualifying for the next round. Top rod on the day was Hywel Morgan with 4 fish and 10 returned for a bag total of 32lb 61/8oz. The best fish was a 4lb 4¾ specimen taken by Keith Jones. Best Rainbow 5lb taken by A Bates of Sleaford. Best Brown 5lb 1oz taken by A Butterworth. Mid week boat winner Adrian Allen of Somberby, Melton Mowbray. Beginners courses 2,9,23 & 30 May; 4,14,20 & 25 June and other dates throughout the season. 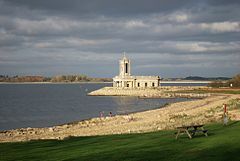 Grafham Water has continued to fish well over the past week with a cracking rod average of 4.29 with 21% of all trout caught weighing 3lb or over. Boat anglers have had the best of the sport over the past week with plenty of bag limits from most areas of the reservoir. The most productive boat areas have been Hill Farm, Pig Bay, Church Bay, Deep Water Point, G and D buoys, Willows, North Dam, Seat lodge frontage and Valley Creek. 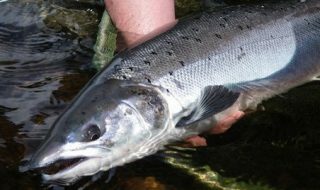 The best boat methods have been to fish floating lines with 18-25 foot long leaders with black or olive buzzers and damsel nymphs, or to fish Di 5 and 7 lines with Tequila Blobs, viva Boobies and Damsel Nymphs. Bank anglers have found the fishing a little challenging over the past week mainly due to the trout moving out from the margins and now feeding around 70-100 yards out from the bank. However, when the wind has been light there has been some good fishing from most areas on the south shore from Gaynes Cove, Seat, Mander Car Park frontage and the Harbour Arms. The best bank methods have been to fish floating lines with damsel nymphs, diawl bachs, black and green lures and buzzers fished at a slow retrieve. GWFFA Club Championship 18 April. The first GWFFA bank match of the season was fished on a bright, hot and windy day by eight intrepid anglers who caught 20 trout for a rod average of 2.5. Top rod on the day was season ticket holder Andy Linwood from Perry who caught 7 trout for 16lb 8oz, including the best fish at 3lb 7oz. Andy’s tactics on the day was to fish Buzzers under the bung in the bowl of the Dam. There are new restrictions around the Dam Tower. These are marked by buoys. Please do not fish or anchor beyond the buoys, there are underwater pipes and equipment which need to be protected. Best Rainbow 4lb 12oz taken by Paul Norris of Royston. Best boat areas G Buoy, Pig Bay, Hill Farm, Willows, Marlow Bay, North Dam, Deep Water Point, Hedge End, Seat, Mander car park frontage, Valley Creek. Best bank areas Gaynes Cove, Seat, Mander Car Park frontage, Valley Creek. Mid Week Boat Winner Kim Green. Beginners courses 3,17,24 & 28 May;6,18,21, & 27 June and other dates throughout the season. Pitsford Water welcomed 25 experienced anglers from EFFA on Thursday for their Spring Members’ Day. Some anglers found the weather conditions made it a tough day. However, David Moore took things in his stride and had the heaviest bag weight, along with the heaviest fish. David fished in open water in the ‘small half’ and had his limit by 11.30a.m. Congratulations to David who was finished a long way ahead of the other anglers. The wind and cold once again made conditions difficult off the bank with fish moving further out and into deeper water. Anglers using a variety of methods produced good results and many bagged up quite quickly. More settled and warmer temperatures will see conditions improve. Best Rainbow 4lb 1oz taken by R Spencer. Best boat areas Bog Bay, Stone Barn Bay, North Farm Bay, Brixworth Bay, Sailing Club Bay. Mid week boat winner Michael Love of Bedford. Join us at our weekly fly fishing club for an evening of boat fishing from 5.30pm until dusk every Tuesday evening from 12 May to 11 August. Beginners courses 7,10,16 & 29 May; 7 & 19 June and other dates throughout the season. Another great week at Ravensthorpe with excellent buzzer fishing. Boat anglers are taking plenty of fish at the Coton End fishing the bung with black and red buzzers. Slow glass or midge tip lines with buzzers or diawl bachs fished slowly were an alternative method. Bank anglers are enjoying good results off both the Dam and the platforms, again on the buzzers and damsel lures. The best Rainbow of the week was a brace of 6lb Rainbows taken by Mr Wood and his boat partner. The rod average is a healthy 7.7, slightly down on last week, but probably due to the change in wind direction and the wind chill temperature. Best Rainbow 6lb taken by Mr Wood. Best bank areas The Dam. Mid week boat winner Alex Ferguson of Leicester.